CMU’s Grawn Hall is home to the College of Business Administration. Grawn was built in 1915 and is the oldest building on campus, serving about 4,200 students a year. 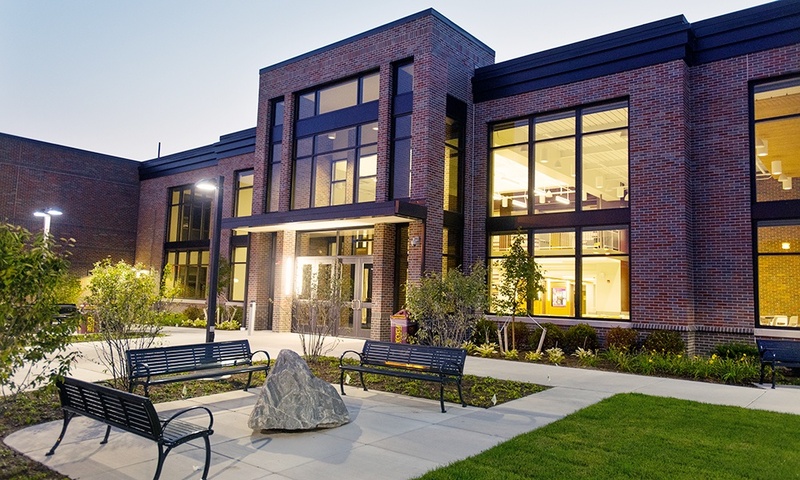 The project, completed in August 2017, involved construction of a 6,600 square-foot, two-story addition on the west side of the building which includes a new main entry with atrium, cafe and multifunctional space for lectures, events and group study. In addition, renovations to 16,200 square feet of existing space included a new student success center, student collaboration spaces and technology upgrades to current classrooms along with heavy MEP upgrades, updates to corridors, fire suppression and window replacement. CMU continues to evolve with new students and developing technologies.